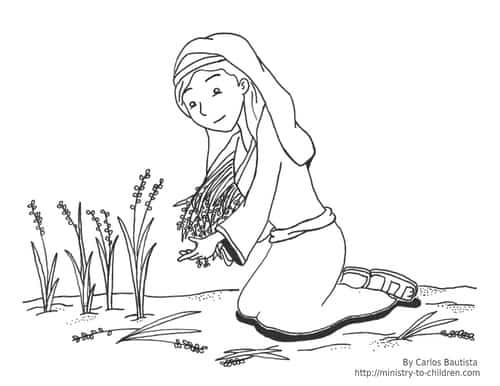 Directions: Select the preview picture above to download this story of Ruth coloring page as a printable PDF file. The higher resolution jpeg is also available for advanced editing. 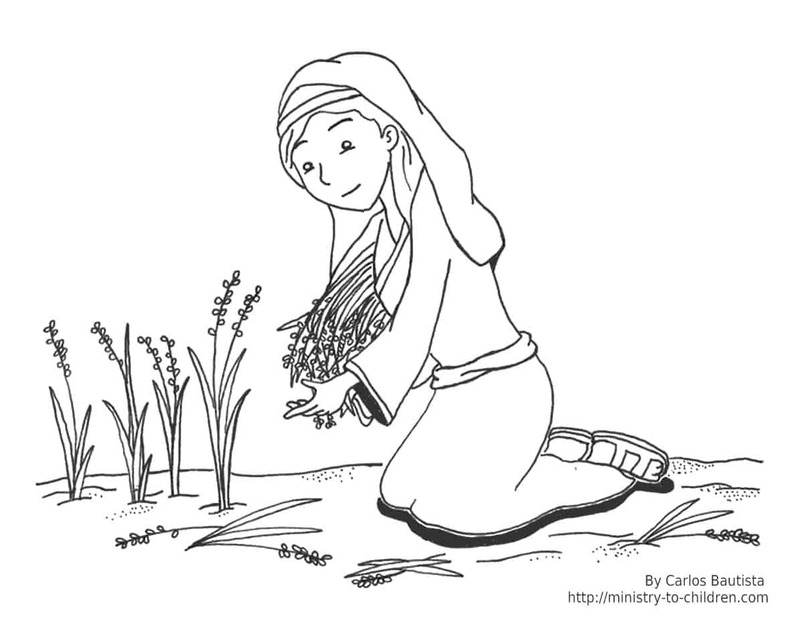 This coloring page about Ruth shows the young woman gleaning grain from a field. This is a major part of the story of Ruth & Naomi. Thank you, Carlos, for your work on this coloring page – it’s very nice! I am using it for my Kindergarten and first grade Sunday School students. Thank you, Carlos, I love the coloring page. Thanks Carlos, I never know who will turn up in church with children on a Sunday morning and your colouring sheets are a wonderful resource. God has gifted you for people like myself that love to minister to children, but can hardly draw stick people!!!! I love your website. Being a preschool teacher it’s difficult to find bible resources for younger children. Thank you so much. I would love to add you in order for you to send me more bible lessons. I couldn’t find where to do this at.